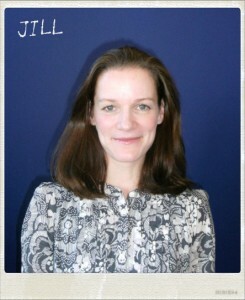 Hi, I'm Jill and I teach IELTS at Kaplan Manchester. I've been teaching for over 14 years now and have taught a lot of IELTS over the years! I'll be giving you monthly tips on how to prepare for and take the IELTS exam. I'm looking forward to hearing from you all and good luck for your exam! Having a good knowledge of synonyms (words with similar meanings) can really help you to get the score you need in the IELTS exam. A popular way of improving your performance in the reading paper, while also expanding your vocabulary, is creating 'synonym charts'. When you read the questions in the reading paper, you should be looking for 'keywords' - the words in the questions which will help you find the answer quickly in the text. Look at this question with the keywords underlined. Next, look at the part of the text where we found the answer. Those findings suggest that caloric restriction could delay aging and increase longevity in humans, too. Now look at the 'table' we created. By recording both the keywords in the questions and the words/phrases in the text which helped you answer those questions, you will improve both your range of vocabulary and your reading band score. Give it a try every time you do a reading test, and let me know how you get on! 5. Pronouncing "S" and "Z"